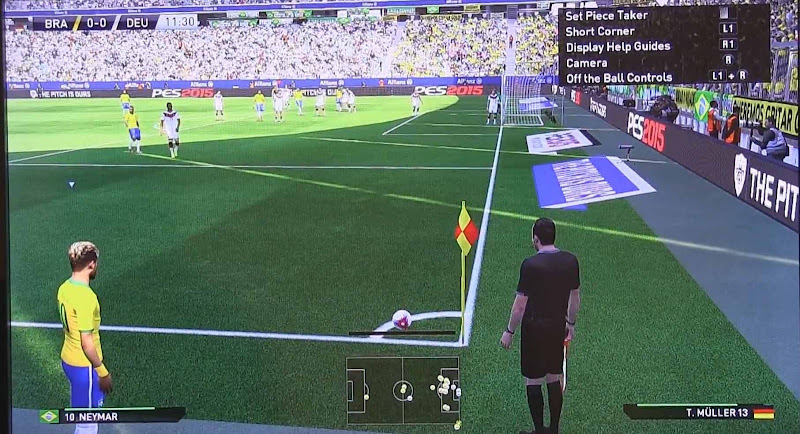 One day after the last day of Gamescom 2014, Pro Evolution Soccer fansite Winning Eleven Blog released some new PES 2015 Gamescom videos, recorded at Gamescom. The PES 2015 Gamescom gameplay videos by WENB are available in HD and split in two halves each. WENB are currently uploading more PES 2015 gameplay videos from Gamsecom, so stay tuned for more updates on this post. This is Kitana Media's PES 2015 gameplay video of Germany vs Spain. Here is the PES 2015 gamescom gameplay video Brazil vs Germany by WENB. This is a new Italy vs Spain PES 2015 Gamescom gameplay video.